The attached permit allows construction on the footer foundation only. Any construction beyond the footer phase of this project will require the issuance of a full Building Permit by the Hopkinsville-Christian County Planning Commission dba Community and Development Services. The owner/developer of this project proceeds on the footer foundation at his/her own risk. 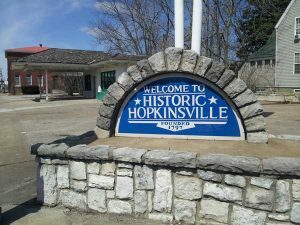 The determination of regulatory compliance by the Hopkinsville-Christian County Planning Commission dba Community and Development Services is limited to verifying the development’s compliance with the applicable setback requirements as specified in Article 7 of the Hopkinsville Zoning Ordinance. Other than setback requirements, no other determination of regulatory compliance has been made with respect to this project. 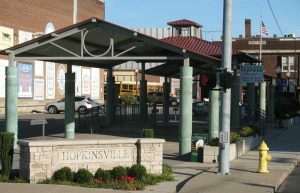 Additional regulatory requirements such as but not limited to compliance with Department Comments, Hopkinsville Zoning Ordinance requirements, Hopkinsville Subdivision Requirements and Storm Water Management Requirements may be forthcoming upon a completed review of the project. Compliance with all regulatory requirements will be a condition of full (unrestricted) Building Permit issuance. The developer shall contact the Building Inspector prior to pouring of foundation concrete for this project. The building inspector shall be on site prior to pouring to determine foundation compliance with the Kentucky Building Code. The property owner/developer shall hold the Hopkinsville-Christian County Planning Commission dba Community and Development Services, the City of Hopkinsville, or any agent of the same, harmless from all liability or actions of noncompliance which result per the issuance of this Footer Foundation Permit. I have read the above conditions and agree to the same.